Start your fur post experience at the visitor center! Learn about the early 19th-century fur trade and see how the Ojibwe, fur traders, and voyageurs worked together. 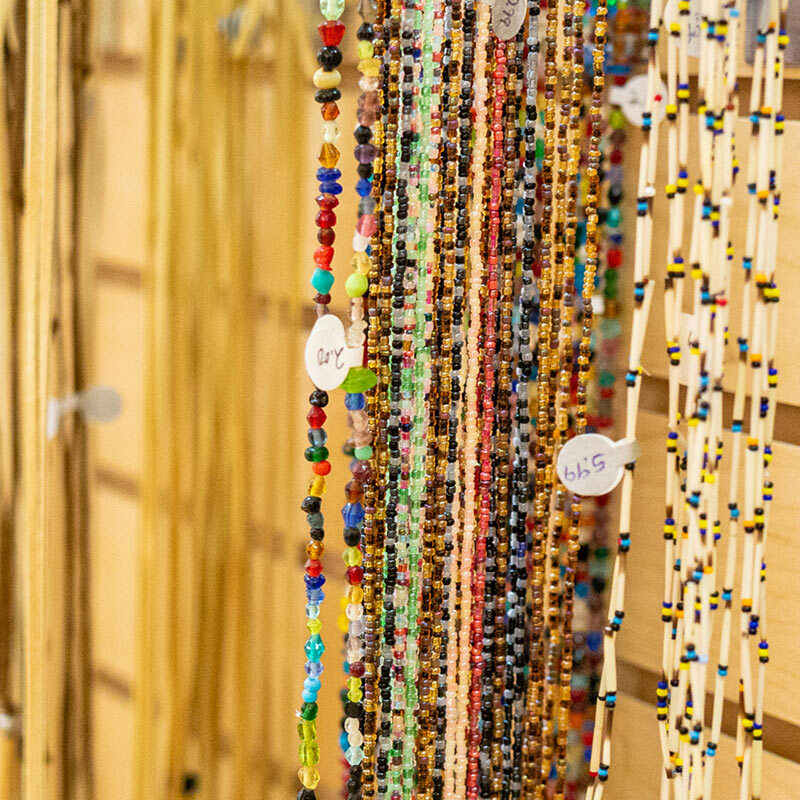 Embark on a guided tour and discover unique gifts and souvenirs to take home. Our visitor center features a great hall with a 30-foot tall stone fireplace. Over 100 images are displayed here, including works by artists Lisa Fifield, Carl Gawboy, David Geister, Cornelius Krieghoff, and Truman Lowe. In 1988, boat builder Mark Hansen crafted the 18th-century replica birch bark canoe that is on display in the visitor center. It was built for La Compagnie des Hivernants de la Riviere Saint Pierre, a group of reenactors who attempt to replicate the experiences of fur-trade-era voyageurs. La Compagnie members paddle the same waters as did the voyageurs, sleep under their canoes like the voyageurs, and even eat the same grim salt pork diet as the voyageurs. About the only thing different is the snapshot-taking bystanders who surround La Compagnie members as they disembark from their canoes. Make the most of your visit! Guided tours of the historic site leave from the visitor center every half-hour starting when the site opens; last tour leaves at 4 pm. Each tour lasts about 40 minutes. Available when the site is open in the summer and fall. 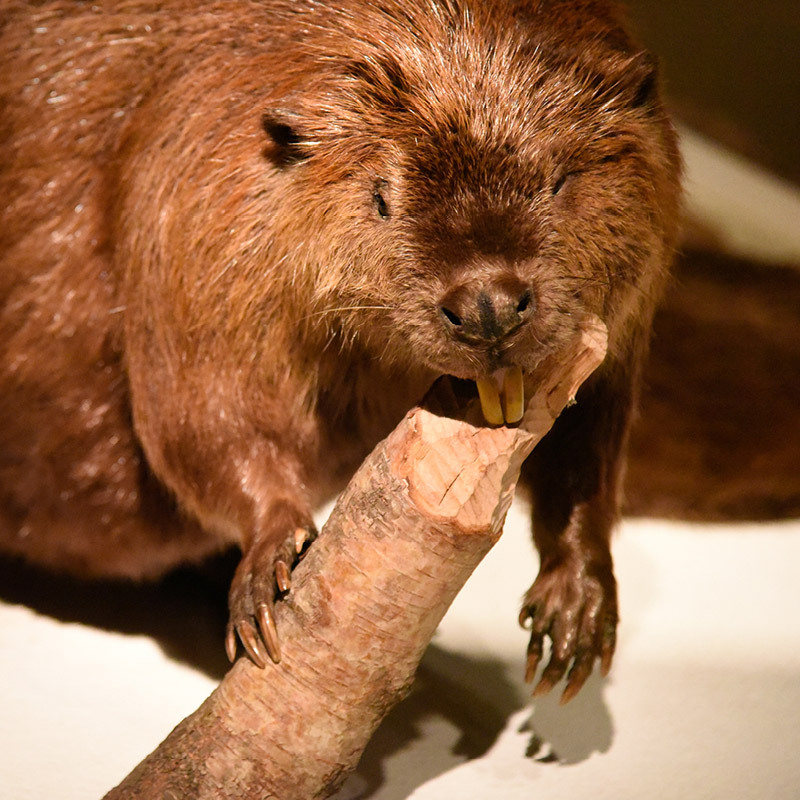 Just like the fur post in 1804, the museum store contains a great selection of items made from birch bark, trade silver jewelry, and reproductions of fur-trade-era glass, redware, and tinware. Children's items include toys, voyageur apparel, and a wide variety of nature gifts. We offer an extensive selection of books on the fur trade, the Ojibwe, and natural history. Find fur trade products, prints, and books in the online shop.